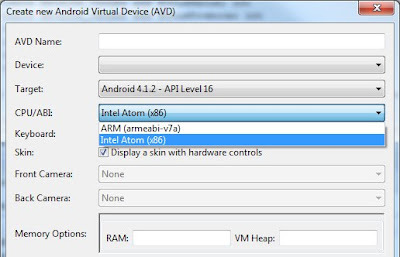 The android emulator runs an actual ROM of a physical device. If the device is based on the ARM architecture lots of translation must be done to run it on a x86 system. However, we can choose an x86 ROM when available. We don't have to, but it's a good option to use the host GPU to speed the rendering. 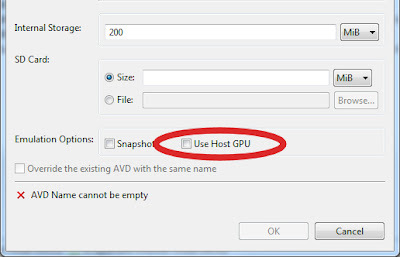 Don't activate this option when targeting Intel Atom x86 System Image (Intel Corporation) - API Level 10. In my case this prevents the emulator to open. 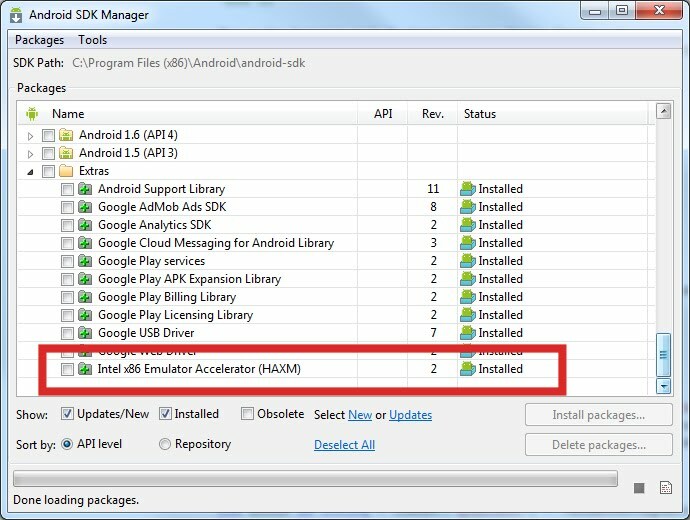 In the Android SDK Manager download the Intel x86 Emulator Accelerator (HAXM) package. 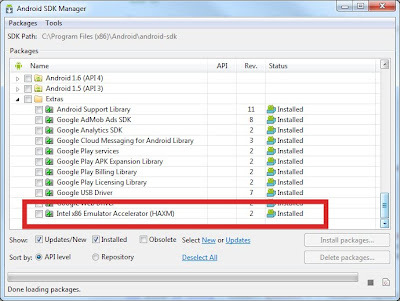 The Android SDK Manager downloads the Intel x86 Emulator Accelerator (HAXM) package but doesn't run the installation, you must do it yourself. Locate and run the file IntelHaxm.exe. In my case it can be found at C:\Program Files (x86)\Android\android-sdk\extras\intel\Hardware_Accelerated_Execution_Manager. this is a REALLY important information, and works on OSX too.